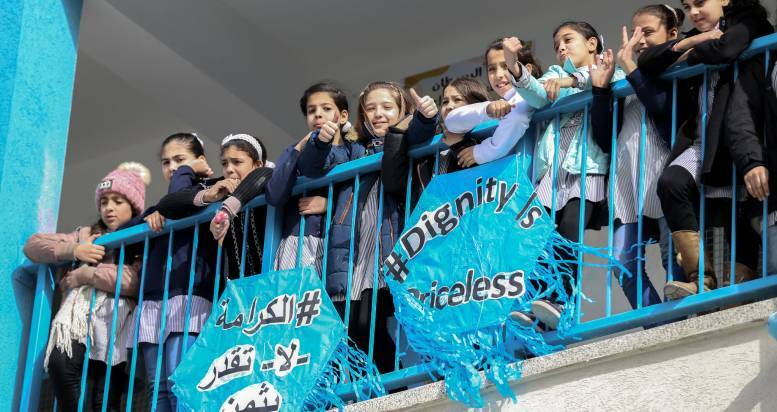 U.S. lawmakers have introduced a new piece of legislation that would drastically reduce U.S. funding for the United Nations relief agency for Palestinian refugees, known as UNRWA. The United States is UNRWA’s biggest contributor. In January, the State Department notified the agency that the U.S. would be withholding $65 million of the $125 million earmarked for it, saying that additional U.S. donations would be contingent on major changes by UNRWA. UNRWA says there are 5.2 million Palestinian refugees. However, this is mainly because it considers the descendants of Palestinians that were displaced in 1948 as having refugee status even if they are not living as refugees. A recent American survey found that there were only 20,000 Palestinian refugees living in the world today. The legislation, sponsored by Representative Doug Lamborn (R-Colorado), is backed by at least 10 members of the House of Representatives. By inflating the number of refugees, UNRWA managed to get more funding, and that is why it has ensured that these Palestinians retain their refugee status, Lamborn told Israel Hayom. “The Palestinians, especially those in the Gaza Strip, are not refugees. They are individuals who live under a reign of terror, violence and political corruption. The bill would ensure that the funding goes toward those who actually need humanitarian assistance,” he said. Congressional sources have said that the Trump administration plans to release the State Department report in the coming weeks. Last week U.S. Ambassador to the United Nations Nikki Haley lambasted the United Nations for using the Palestinian refugee issue to malign Israel.